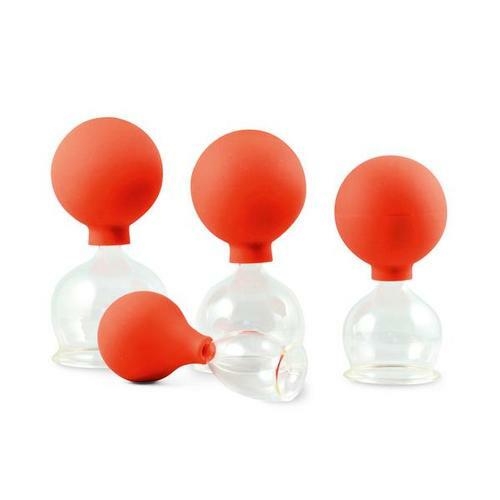 Massage glass cupping set w. suction bulb, 40-60 mm,set of 3 pcs. 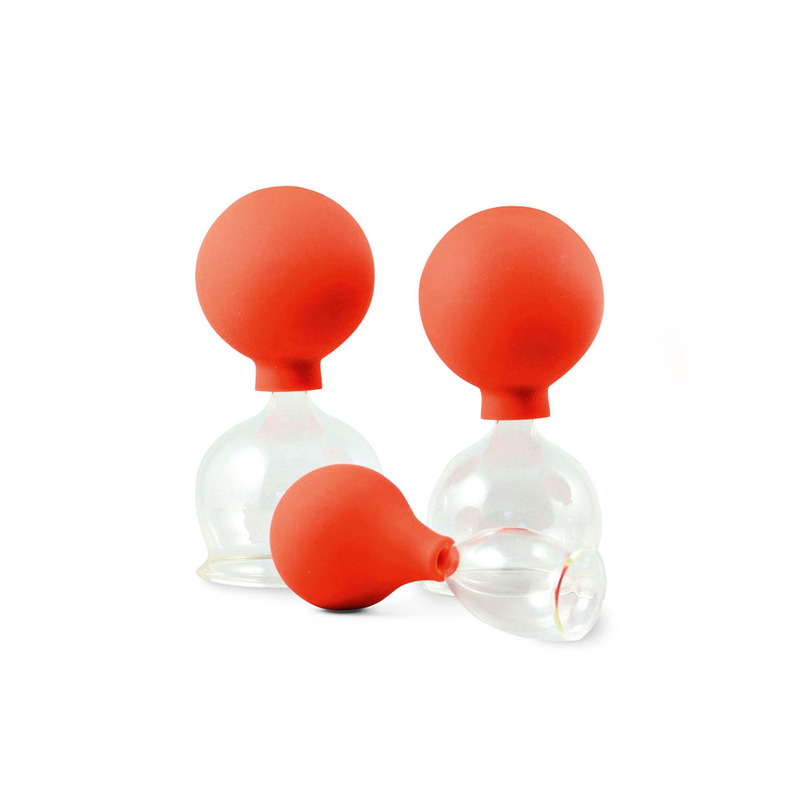 Medical massage-glass set with suction ball for massaging and fire-free cupping. The massage-glass set is made of glass so you can clean and disinfect it easily (dishwasher safe). They are particularly suited to massaging, because the edge in contact with the skin is extra large. 3 massage glasses, external diameter of the openings approx. 40, 50 and 60 mm. The 5 removable suction balls, made from medical, soft PVC, are physiologically harmless, cadmium-free, and fully reusable. When you let go of the ball, the air flows back into the ball forming a vacuum in the glass, which draws in the skin. The exact size of the glasses may vary slightly. The cupping glasses are CE certified. Glass cupping set w. suction bulb, 70 mm,set of 6 pcs. Glass cupping set w. suction bulb, 40 mm,set of 6 pcs.